On Monday much of the country will be watching as the Total Solar Eclipse happens. It's the first time the U.S. has experienced a Total Eclipse since 1979. I live in southern Illinois, which is where the Eclipse's totality will be the most. 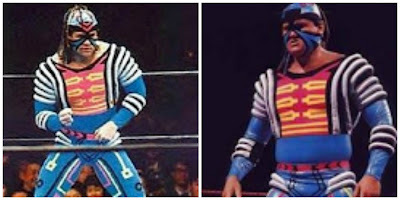 It's been the buzz here for months now, so I figured why not look at some Eclipse related wrestling gimmicks through the years. NXT Superstar Ember Moon most falls in line with the phenomenon. Not only does her name fit, but so does her finishing move, the Eclipse. It's a diving corkscrew stunner. The move is quite impressive. So is Moon. I really thought she was being groomed to be the one to end Asuka's impressive streak and historic NXt Championship reign. Even though she didn't capture the gold at NXT: Takeover, in my 1-2-3 cents Moon will be a major player on the main roster in the near future. 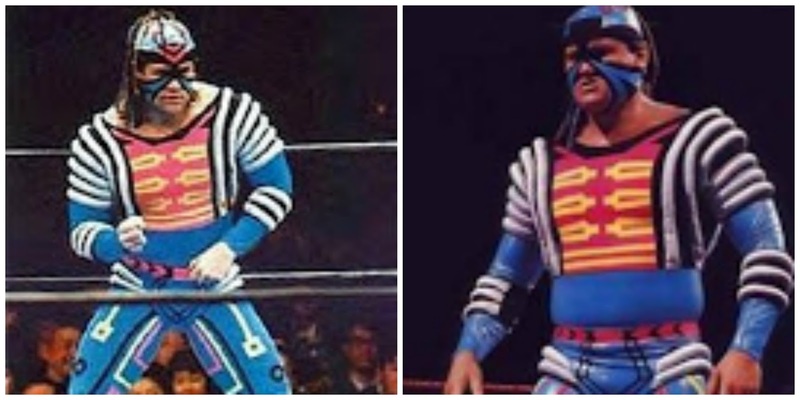 Max Moon, no relation to Ember, was an out of this world Superstar who hit the scene in the early 90s. Konnan originally played the character, but after a contract dispute, Paul Diamond filled the role. Probably his biggest claim to fame was wrestling Shawn Michaels on the very first Monday Night Raw in 1993. By the way, that costume cost about $1,300 to make. The leather was equipped with electronics and pyrotechnic gun. Sunny has had her ups and downs in the wrestling world. But it's hard to ignore her contribution to the business. When the internet was born, so was Sunny's stardom. She held the distinction of being AOL's most downloaded woman of 1996. Sunny helped blaze the trail for other women in the business. Yes, she's had some controversial moments through the years, but the Hall of Famer made a difference in the business. Another 90s creation I'm highlighting today: The Heavenly Bodies. Stan Lane and Tom Pritchard are the originals for this team. 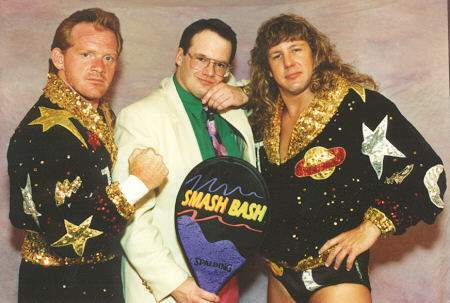 Jim Cornette was the force behind them at Smoky Mountain Wrestling. There have been several incarnations through the years and the team even ventured into WWE but Jimmy Del Rey had replaced Lane by then. The duo was good but never won the tag team gold, despite great matches with teams like the Rock 'n Roll Express, The Steiner Brothers and the Smoking Gunns. Finally, the Moondogs get the nod in this Eclipse themed blog. 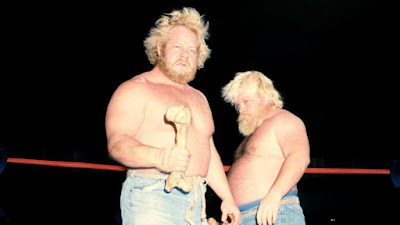 Like the Heavenly Bodies, there have been several versions of the Moondogs. King and Rex were the originals and won the WWF tag-team titles in 1981. However, King left the company and was replaced by Spot. Eventually, the duo was used to put over other talents in the company. Their trademark tattered jeans and giant bones helped put them on the map too. These are the Eclipse related talents I came up with. Did I miss anyone? 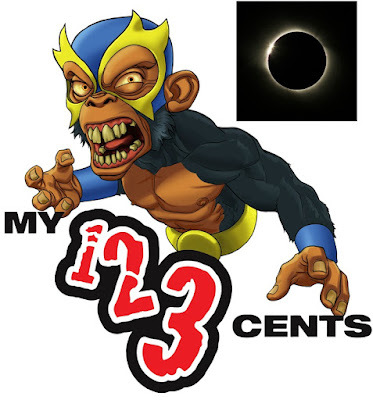 Comment here on the My 1-2-3 Cents Facebook page.